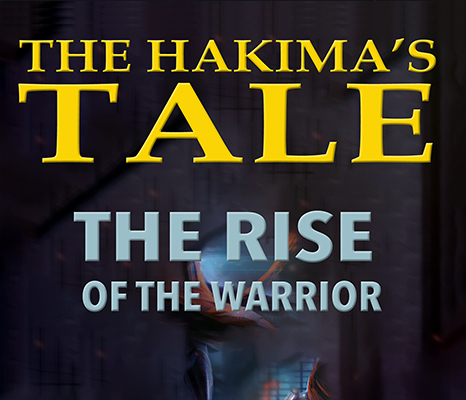 The second installment of The Hakima’s Tale starts with the training of our young warrior, Phoenix Kassim. She’s already been with her mentor, Sophia, for two years, and she’s doing very well, considering that she’s packing a lifetime of training into 3 years. She’s mastered Telekinesis, advanced knowledge of martial arts, sword fighting, see the Jinn, and the ability to summon them at will. Sophia also leads Phoenix in the acquisition of the tools of the Hakima: the glove of Ghalib, the Amber of the Enchanted Whale, the Magic Carpet, and finally, the Ring of Ghalib. She’s assisted by her beloved Uncle Heesham, a shaman of sorts, and her Jinn companions, Shayla, Bakit, and Kadeera. The Generals continue their attacks, and through their efforts, they manage to do serious damage to Phoenix’s ability to fight. 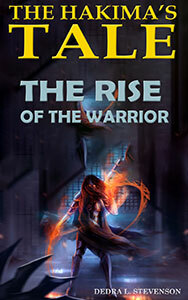 The book is action-packed, and the clock is ticking, because on her 16th birthday, the day of reckoning comes, and the Blue Jinni is released, despite the resistance’s best efforts. The war for survival has arrived.